The Pringle Herbarium (VT) contains 300,000 specimens, including vascular plants, bryophytes, lichens, algae and fungi. This portal contains our North American bryophyte specimens, numbering about 18,000. 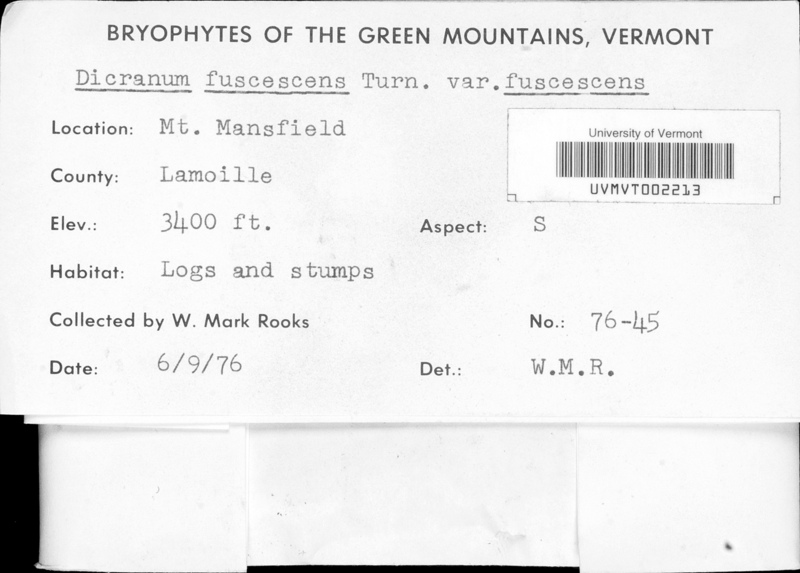 Other digitization projects cover type specimens, vascular plant specimens, North American lichens, macroalgae and macrofungi. These images and data are available through various portals. The herbarium does not maintain its own online database.